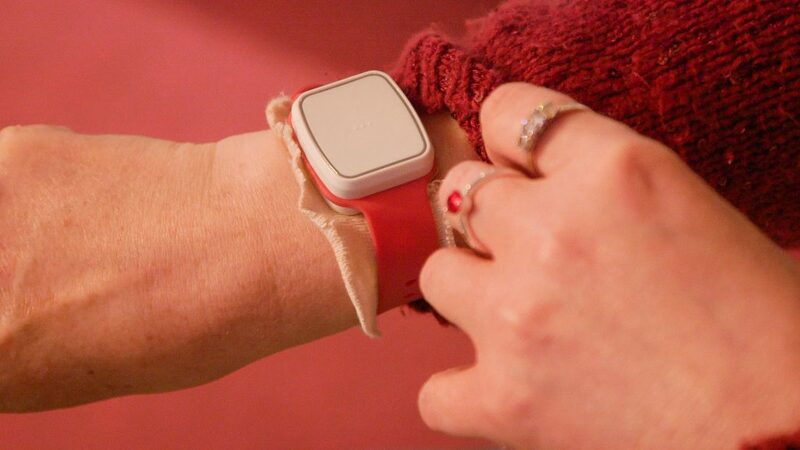 A wearable device which can alert if the person has fallen. They can alert via a Lifeline phone or pager. Getting back up independently after a fall might not be possible for someone who has limited mobility or who has hurt themselves, making movement around the home risky when alone. Fall detectors can be used to help manage the risk of someone falling and being unable to call for help. Fall detectors are usually wearable devices which can alert a third party when a person falls, via a Lifeline phone or pager, offering reassurance and helping to keep individuals safe at home. Note: fall detectors can sometimes give false alerts, for example if a person sits down heavily or waves their arm around when wearing the device. They may also not detect some types of falls, such as if a person slides slowly off of a chair.